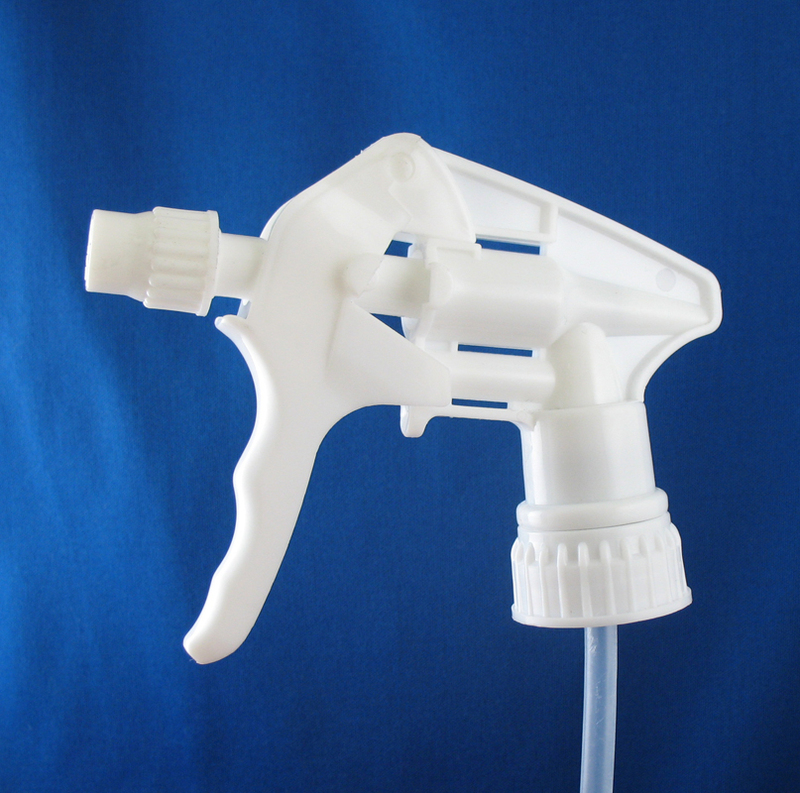 Trigger sprayer pumps have been the sprayer pumps of choice for both consumer and institutional use due to the high volume of product dispensed. Typically 0.8 cc to 1.4 cc on every stroke. 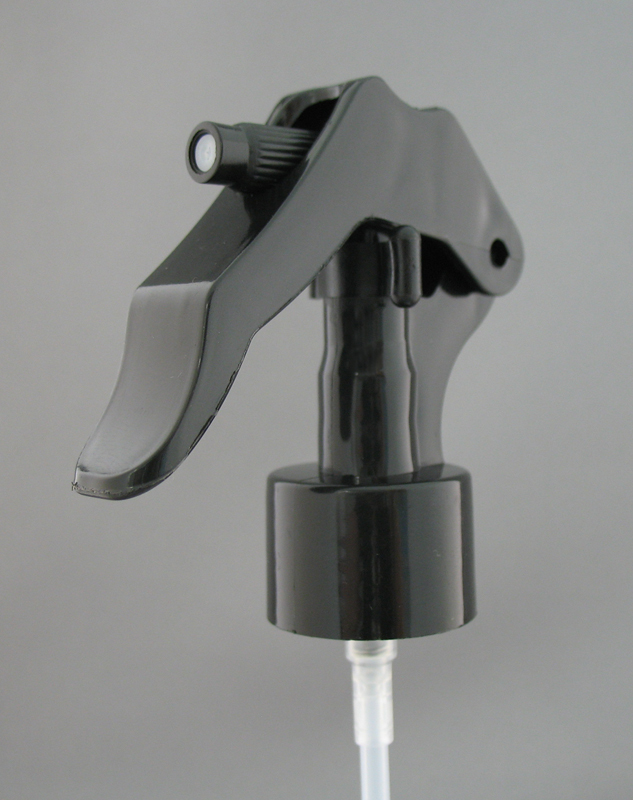 Plus the comfort for the user. 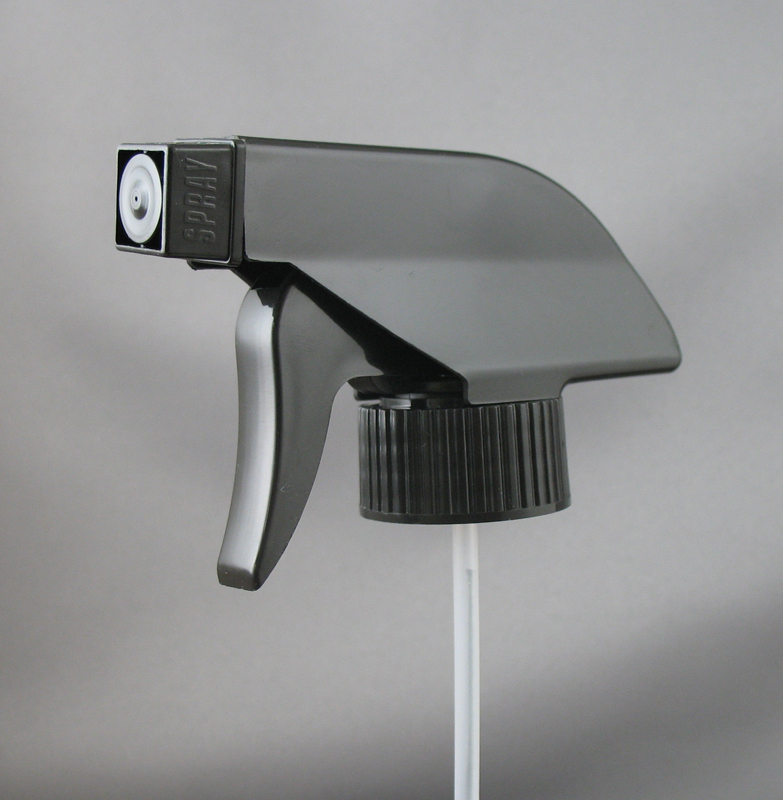 Trigger sprayer pumps also have better chemical compatibility that standard fingertip sprayer pumps and offer a range of spray patterns from a misting cloud to a powerful jetting stream. 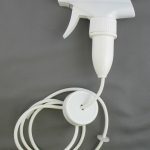 There is even an optional spray tip that will make your product such as tire protectant, tile cleaners, and other household cleaning chemicals foam so it will work more efficiently. 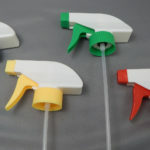 The keys to a trigger sprayers packages success is matching the right output of product and using pumps that are mechanically reliable and being the most comfortable for the consumer to use. 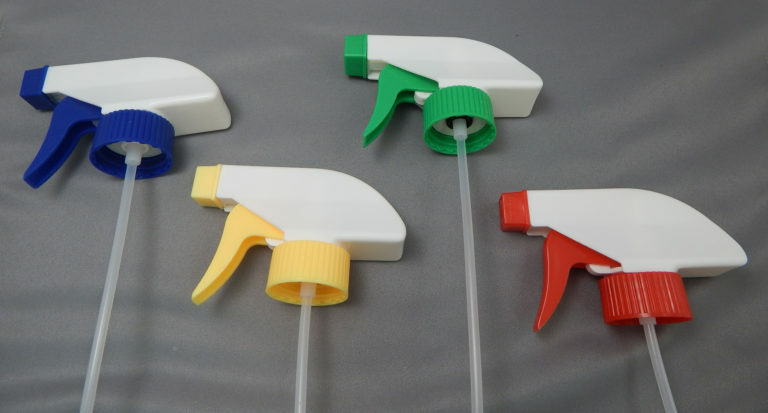 If a customer does not like your pump, they will not buy your product again no matter how much the rest of the packaging costs you or what it looks like. 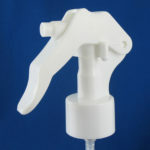 Time and again companies have found that using cheap low quality imported trigger pumps save a few cents at the initial purchase, but the savings quickly disappear and the pumps end up costing far more than a quality pump once you factor in the customers dissatisfaction, non function or poorly functioning pumps, product leakage, and the slower use up rate because of lower outputs or just that the trigger sprayer pumps are just not comfortable for the customer to use. 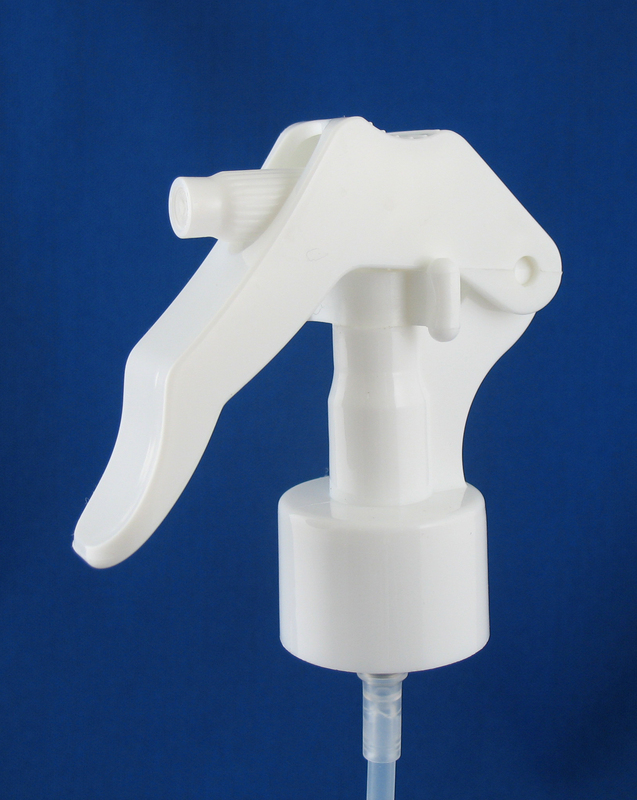 Drug and Cosmetic Packaging offers you the right pump at the right price. Value you can count on! 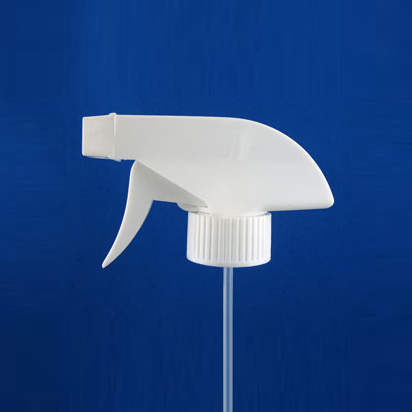 For use with most consumer grade chemicals such as glass cleaner, kitchen/bath cleaners, furniture polishes, insecticides, grill cleaners, pet sprays, tanning products, mold removers, tire protectant, spray disinfectant, etc. 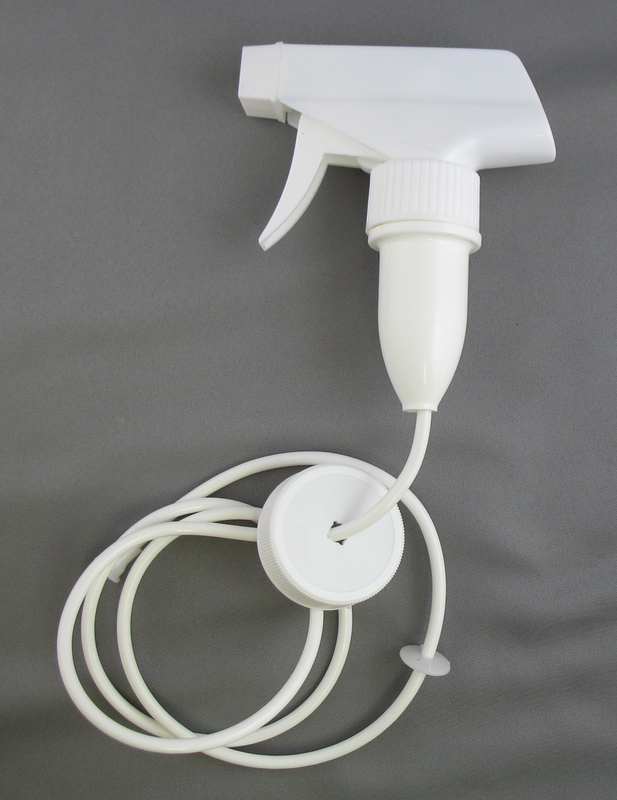 Pumps can be made in various color combinations with assorted spray patterns: misting, streaming, and/or foaming. 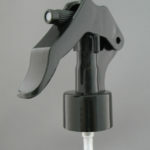 Made to order: 28/410, 28/414 or 38/400 (with hose adaptor), and Child resistant finishes are available.